Never lose that sense of wonder. That must have been my greatest takeaway from Walt Disney Picture’s Christopher Robin. The story is based on the Winnie the Pooh tale that we all loved except that this time, Christopher Robin is no longer that little playful boy. SM Cinema and Walt Disney Pictures had us at he advanced screening of the film at SM Aura Cinemas and I should have known that it was going to be one emotional ride. Adulthood has finally taken over Christopher Robin. His playful and innocent traits are now things of the past. Torn from the war and burdened by both his responsibilities at work and his family, his smiles have turned upside down and wrinkles started appearing on his face. The joy is now replaced with stress and frustration. He can even barely find time for the thing that matters most- his family. There was this moment in the film that I have found myself symphatizing with him. His character resonated really well with the adult audiences, thanks to Ewan McGregor’s impeccable acting. Down to the little nuances, everything is just perfect and downright relatable. Factoring in work and family, Christopher lost the time for his sense of wonder and childhood. Along with it is his forgotten friendship with his mates. 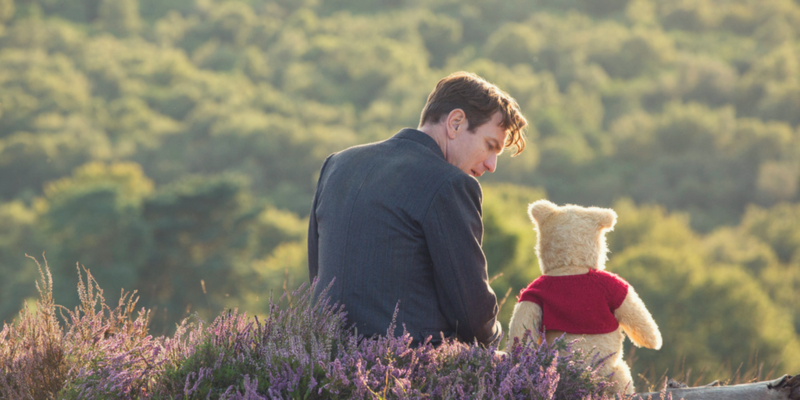 And of course, what is a Christopher Robin movie without his friends? But they are missing. Pooh woke up one morning only to find himself alone in the 100-Acre woods. His friends Tigger, Piglet, Kanga, Eeyore, Rabbit, Owl, and Roo are missing. That’s when he needed the help of his old friend, Christopher. The reunion is one touchy moment that you need to keep an eye out for. Pooh and Eeyore provided the contrasting emotions that made the movie a colorful experience. The sheer innocence of the former added a nice touch to the hilariously grim and depressing demeanor of the latter. The film brought these characters with careful precision that both the old and new audiences will learn to fall in love with them. They are “aww”-worthy on their own but the moment they interacted with McGregor left everyone feeling all sorts of fuzzy and pure. The movie could have been perfect and heartwarming all throughout. The part of the plot that centered around Robin and his friends is strong on its own. However, there is still his family arc that needs to be explored. If I’m going to be honest, I wish it had been a side plot. The first half of the film is perfect and grabbed our hearts as it showed us the rediscovery of friendship between Christopher and his friends. Watching Christopher lighten up and reignite that sense of wonder hit me with a wave of emotions. Unfortunately, the film slipped a little the moment it shifted the focus to his family which created a wobbly conflict. It was a bit cliche to have the conflict about a kid and wife acting up towards a dad who got busy at work. Add in some terror boss to up the office tension then things got a little all over the place in a snap. Christopher Robin is at its peak everytime Pooh and Christopher’s relationship is at the center. The emotion of each scene focusing on them is all too genuine and real that I found myself wiping tears from my face several times during the movie! Mark Forster’s film is Winnie the Pooh’s love letter to everyone who were once a kid and now adults to never lose that sense of wonder. Adulthood and responsibilities may burden us at some point but we still have to keep in touch with the innocence and playful kid that is in all of us. Prepare to cry or at least be touched during the movie because of its story that is pure, adorable, and definitely heartwarming. NEXT POST Next post: 'Teen Titans Go! To The Movies' Got Everything!